Far beyond the bustle of Bear Lake and Alberta Falls lie many miles of solitude and incredible beauty. Most visitors don't realize that the best views in the park are well off the beaten path deep within the heart of Rocky. 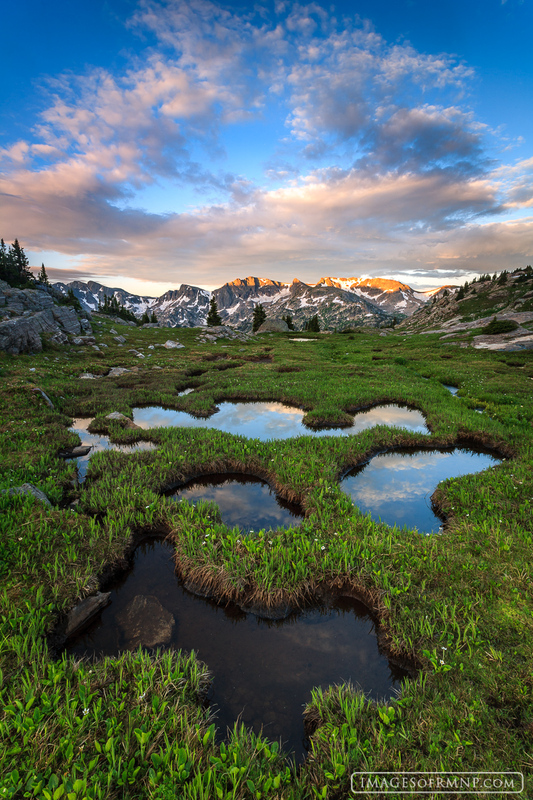 This national treasure contains over 150 alpine lakes and many more meadows, tarns, and waterfalls. On this July evening I enjoyed a view that few have seen as the sun set over rugged peaks while the clouds were reflected in oddly shaped tarns. Photo © copyright by Erik Stensland.